Kingdom Hearts Unchained X is a new game from Square Enix that is currently available iOS and Android devices. This title allows you to adventure across Disney’s magical and wondrous worlds in the first-ever mobile game for the Kingdom Hearts series. Your goal is to gather Lux, a “mysterious” form of light, as you fight the Heartless and explore more worlds. You’ll be fighting the Heartless using your Keyblades, and in terms of fighting mechanics, you can tap to attack, swipe against multiple enemies, and flick medals with special abilities. 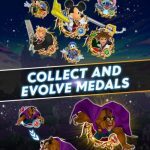 You can collect and evolves “hundreds” of character medals, which come with the combined power of characters from both the Disney and Final Fantasy universes. That’s the game in a nutshell, as it offers an interesting combination of both seemingly disparate franchises. 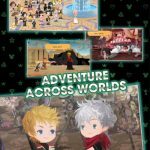 But since you’re probably here to learn more about playing the game itself, we’ll gladly oblige you as we now bring to you our comprehensive Kingdom Hearts Unchained X strategy guide for players of all expertise levels. 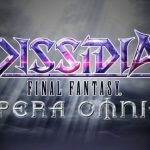 Granted, most of the tips here are geared towards beginners, but you might learn something new even if you’ve been playing for some time. When fighting against regular Heartless minions, meaning any battle that isn’t a boss battle, make use of your multi-target attacks so you can finish the battle faster. That should serve you well in most cases, but there would be other times when you may want to try a different tack. When taking part in harder battles, you can make use of the element system, and target Heartless who have a flashing icon, as that’s going to show you the ones who are weak against the medal you are currently using. 2. 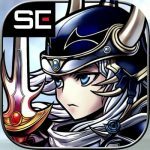 How Does The Weapon Triangle Work? Further explaining the elemental system, all medals in the game have a specific type, with a corresponding color. Power corresponds to red, and defeats speed. Speed is green, and defeats magic. Lastly, magic is blue and defeats power. It’s a very simple elemental system, and very easy to remember when choosing the right color medal against any given enemy. Still, it can also be easy to forget the system when you’re in the heat of battle, so always be sure you’re using the right color! Doing so will result in a significant damage increase. We’ll be talking about the “target” Heartless in a bit, but before we get to that, we would suggest that you fully explore the different worlds. These worlds have, on occasion, sparkles lying around, and if you cross their path, you’ll pick up crafting materials. These materials can then be used to power up the Keyblades you currently have. 4. How Can You Tell If You Are Facing The Final Heartless? You will know when you are fighting the main “target,” or the last Heartless in a level, you’ll see their tag with a red glow. Now take note of this, as this is important – your quests will always include defeating that final character in just one turn. We would suggest saving your special attacks for the target, and making use of them as much as possible. Also, focus on your target with your other attacks, and you’ll have a better chance of killing that “target” in just one turn. You can then kill the other Heartless in any order you wish, once you’ve taken care of the target. Before you start a quest, take note of the icons next to it. These icons will show you the type that is most common in the quest, and keeping this in mind, you’ll want to be prepared and make sure you’ve got the right medal and the right Keyblades with you. We would advise bringing different Keyblades to battle, and matching Keyblades with different medals, again based on the elemental system. For example, the top medal slot in Starlight, which is your starting Keyblade, will be glowing in blue. Use a magic medal in that slot, and you’ll be making it substantially more powerful. Likewise, your next Keyblade, Treasure Trove, has a power slot, which means you should use a power medal. Speaking of quests, they can earn you some valuable experience points when you complete them, so always check the quests per level, and try to complete all of them. You can always replay levels if you aren’t able to complete all three quests the first time around. The last quest will always give you more crafting materials, while the first two will give you Avatar Coins, which can help you in improving your heroes. Here’s another very common tip that we are gladly repeating in this Kingdom Hearts Unchained X strategy guide. Yes, we’re referring to grinding, and you’ll want to do that as much as possible. The main purpose would be to get all three Mickeys, though you can also replay previous levels, even if you’ve completed all the quests, to get more items and medals. 8. Where Should You Spend Your Avatar Board? Earlier, we mentioned Avatar Coins, and if you’re wondering how and where you can use them, we’re going to show you how right here. You may notice various clothes for your avatar on the Avatar Board, and while this may look like something that’s merely cosmetic at first, you will also notice boards per set of clothes, which come with nodes that you will then power up with your Avatar Coins. That’s going to provide a permanent increase to your hero’s stats. Additionally, you can unlock new clothing parts, so complete as many Avatar Boards as possible so you can make your character stronger. And once again, it’s more than just cosmetic changes that we’re talking about here. You can upgrade the medals you earn in two ways. First, you can sacrifice medals you no longer need or haven’t used, so you can improve your more powerful ones. That process is simply known as upgrading. Evolving, on the other hand, would allow you to add one star to a medal’s rarity, and this time, you’ll need specific medals to sacrifice so you can push forward with the evolution. It all depends on the medal you’re wanting to evolve, so you may want to set aside some medals if you’re planning to evolve another one. 10. What Else Can You Get From One-Turn Wins? Let’s revisit the one-turn victory for a moment. If you’re able to defeat all the Heartless in a level in just one turn, you can get bonus Lux and orbs, and that will, in turn, allow you to fill up your special gauge to 100 percent. Make sure you’re using the right medals, know when to use your single attacks and your group attacks, and know which special abilities to use and when to use them. Additionally, you can take part in special events by going to the quests and checking out the Special category. In there, you’ll see dungeons that you can only access on specific days. The Friday events, for example, include Evolve Medals and Starlight Materials. For the first quest, you’ll be able to find a lot of medals for evolution, and the second comes chock full of materials you can use to upgrade the Starlight Keyblade. This should be good incentive for you to play the game every day – these special events can leave you richly rewarded if you complete them! This would be our complete guide for Kingdom Hearts Unchained X. If you know additional tips and tricks for this game, let us know in the comment section below.